More excellent comments on the ‘Boycotting the NFL’ (Part 1, Part 2, Part 3) blog series. One reader emphasized the difference between, say, Derek Jeter, and Alex Rodriguez, both New York Yankee stars, following very different pathways. If we asked, I imagine Jeter could rhyme off his personal standards. He is revered as a result. We, the fans, know living to a code is hard, but that it makes society a little bit better. Living to a code (set of standards) is an important element of Justice. Justice does not exist in nature, say the philosophers. Justice only exists, on occasion, in human society. That’s why we value it so. By contrast, A-Rod seems to be driven solely by self-interest. Does he have any standards -- other than 'what's in it for me?'. 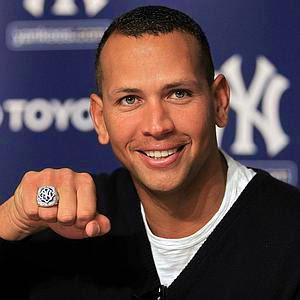 One might say A-Rod lives by the ‘law of the jungle’. He is despised because people know that's easy to do, and ultimately degrades society. People, rightly, expect more from their role models ('heroes'), which, like it or not, is what professional athletes are. Some people have trouble at this suggestion, I know. But to deny it is to let the NFL off the hook. To whom much is given, much is expected. Society has made the NFL, and the A-Rods of the world, fabulously wealthy and powerful. Is there no obligation in return? If not, head for the hills!